Jack's Opinion: LunaTik and iPod nano just not a good fit. Settings>General>Date & Time>Time on Wake>Switch to On. This way, even when you are listening to music, pressing the wake button shows the clock face. As to the waterproof issue, all of my other watches have leather bands, so I never shower wearing a wristwatch, and it is a habit to remove before washing. I have washed my hands one hundred times since starting with the LunaTik and never gotten it wet. Thanks for the tip with Time on wake. I was looking for something like this never found it an happy to hear there is solution. However i don't have the nano anymore because of the issue i had (the shower problem was my mistake) but all other issues are unrelated to me. 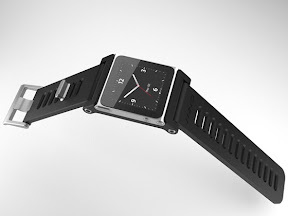 You say the nano works perfect for you as a wrist watch? Maybe i buy once another one. I like this as a watch, and I might have been unclear in my first comment: I do leave the LunaTik on when I wash my hands, but not in the shower. I push the band up my forearm (it has a nice amount of give). When you do replace your nano, invest a few bucks in this https://www.kickstarter.com/projects/2009525288/picoport-protect-you-ipod-nano. Hi, I read your new stuff regularly. Your story-telling style is witty, keep doing what you're doing!